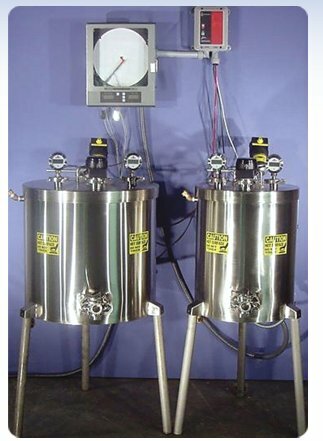 15 Gallon Vat Milk Pasteurizer Made in the USA! "THE VAT" by Jaybee is made in the USA and is available in two sizes, a 7 to 15 gallon (26 to 56 Liter), referred to as the "15 Gallon Vat", You can use this with a minumum of 7 gallons of milk up to 15 gallons. Give us a call (928) 583-0254 and let us help you with this purchase, Homesteaders Supply has SPECIAL PRICING which is probably better than our advertized price here!!! We want your business and are willing to work for it! 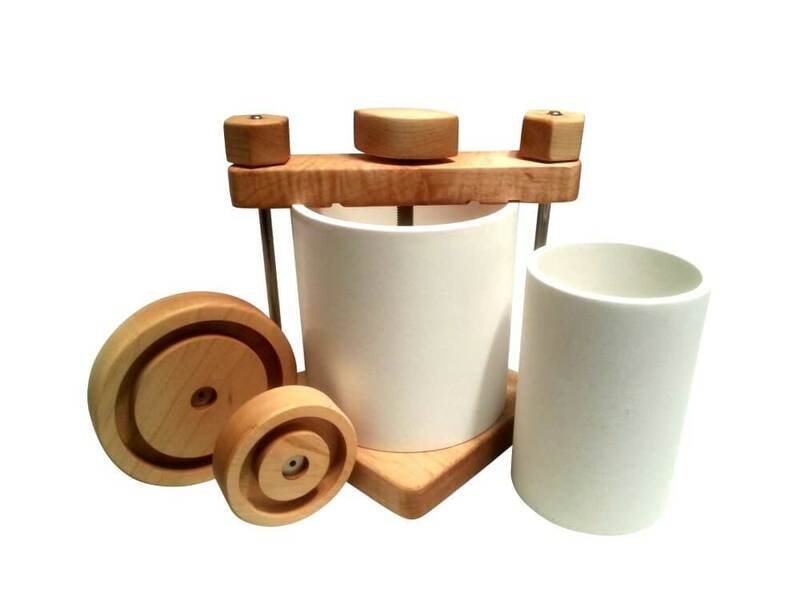 Purchase this 15 gal or the 30 gal pasteurizer and receive our Ultimate Cheese Press as a Free Gift! Just let us know you saw this offer! Also check out our new chilling units that work specifically with these VAT pasteurizers! CAll us for special pricing on package deals! Built of durable stainless steel construction, "THE VAT" is delivered ready for operation and utilizes 220 single phase service suitable for use in any country world wide. Both units are now 3A and FDA approved for use in any state in the country and are in stock for quick delivery. Most ag inspectors are familiar with an like the Vat Pasteurizers! The benefits of this commercial pasteurizer is it's small size yet full functionality for commercial uses. You can pasteurize as little as 7 gallons or as much as 15 gallons in this unit, and the best part is that you can then use it to make your cheese right in the Vat just after the milk is pasteurized! Shipping is not included as it ships by ground freight. So give us a call, or we will call you for quote to your location. * 7" power cord with equipment leakage current interrupter. * Fuse protection with class 3AG/3AB Glass or Ceramic fuses. * Main power indicator light on the North Shore Safety Ltd. line guard. * Protective rubber boots over switch. * Precision temperature control and adjustable from front panel of recorder. * Accurate product temperature recording with Anderson 12" chart recorder 90° to 190° F.
* Accurate air-space temperature recorded on same disc as product. * Product: Anderson Temperature Transmitting Thermometer 16" long. * Air Space: Anderson Temperature Transmitting Thermometer 5" long. * Air Space fan to reduce hot and cold spots in the air space. * Thermometer bracket for safe and easy storing. * Air Space fan holder for safe and easy storing. * Chart recorder is in 0.1° F increments. * Thermometers are in 0.1° F increments. * Variable speed fully enclosed mixer motor with built in circuit breaker. * Flat stainless steel paddle for better product mixing. * One piece insulated lid 2" thick for better air space temperature control. * State of the art relays for millions of cycles. * Liquid deflection boot over mixer access tube. * Pitched bottom 1/2" per foot. * Rear Leg Extender for complete drainage. * Quick disassembly of leak-detect valve for ease of cleaning. * Garden type connections on both inlet and outlet side of water jacket. * Water expansion discharge tube. * 100 pieces of chart recorder paper. * Complete set of fuses (4). Contact us for info on the 30 Gallon Unit! Homesteaders Supply has Special Pricing for our customers!